It wasn’t too long ago that credit monitoring was your only choice for identity protection and the bureaus only monitored their own credit reports. The rise of new competition from identity protection companies like LifeLock, Debix, and Trusted ID ended the monopoly the credit bureaus once had and forced them to further expand their offerings. Pressure at the state and federal levels also forced the credit bureaus to change requiring them to offer free fraud alerts for anyone requesting them per the FACT Act passed by Congress so long as they met the spirit of the law. The spirit of the law was an important point in the Experian vs LifeLock lawsuit. You may remember that LifeLock, Debix and TrustedID, among others, used to place fraud alerts on their clients behalf. The lawsuit ended this as the court determined that their fraud alert service did not meet the spirit in which the FACT Act was passed. The Fact Act states that to place a fraud alert on your file you must have “a good faith suspicion that you have or are about to become a victim of fraud or related crime including identity theft”. Privacy and identity theft experts, including us, were dismayed by this decision and quite frankly we think the Fact Act should be altered to help protect more Americans. The companies above have since added additional services to their offerings, most notably fraud detection using sophisticated technology to analyze their clients personal information across thousands of databases for signs of identity theft. These new protection measures are better than a fraud alert but a fraud alert service would still be beneficial in our opinion. A fraud alert requires the bureaus to put a special notation in your credit file which notes that you have a suspicion that you have or may become an identity theft victim. A creditor such as a bank is then required to take reasonable measures to verify your identity before approving credit in your name. This is often done by calling the phone number in your file and getting approval for the loan or transaction that they are processing. Though a phone call isn’t the only way they can verify your identity it is often the easiest way for creditors to take “reasonable measures”. These fraud alerts expire every 90 days and must be renewed though an identity theft victim who can show proof of such to the bureaus can have the alert extended to 7 years. Fraud alerts are not full-proof, nothing is, but are an important step to take to protect your identity as is a review of all three of your credit reports. They can be placed in addition to signing up with an identity protection company or credit monitoring service. Fraud alerts are limited to protecting you from “new account” fraud. They don’t protect your existing accounts or credit cards but are still effective since identity thieves often attempt to establish new accounts and a fraud alert can stop this. Thieves like new accounts because they can get away with their crime for a much longer period of time. The Fact Act requires all three credit bureaus to report any fraud alert they receive to the other two bureaus, but some studies have shown they do not always do this. We advice you to call all three bureaus yourself to ensure the fraud alerts are in place. There is no big secret to placing fraud alerts, just call the bureaus, and keep doing it every 90 days. Our resource page links to each of the three main bureaus for your convenience. The essential difference between fraud alerts and credit monitoring is that credit monitoring is not proactive in that you are only informed about credit changes (both new and existing accounts) after they have already happened, leaving you to clean up the mess. With proactive fraud alert protection you are usually informed before or as it is happening and, if so, can deny the requested approval. This is no small matter as it can protect you from the agonizing, emotionally draining process of restoring your credit and good name. It may even lead to the arrests of the creeps who are perpetrating this horrible crime. This is not to say that credit monitoring isn’t good, in fact it informs you of much more than a fraud alert, just that one is proactive and the other is reactive and that’s an important distinction. A fraud alert shouldn’t be your only form of protection but it is still an effective tool. We also have some concerns with the credit bureaus, Equifax, Transunion or Experian being your “Identity Protectors” as their primary source of revenue is from selling your information, most notably for pre-approved credit cards and insurance offers, and it is a bit contradictory that they are viewed as a possible solution for identity protection. That being said they each offer credit monitoring services that do help protect your identity. In comparison to credit monitoring services, identity protection companies offer identity theft insurance up to $1,000,000, a yearly 3 bureau credit report, identity restoration services, pre-authorized credit card and junk mail removal, scanning of black market internet and database sites that sell your personal information such as credit card and social security numbers and fraud detection using sophisticated technology to analyze private information of their customers across thousands of databases for signs of identity theft. Identity Protection services are preferable to credit monitoring in our opinion especially since they have continued to add new features such as credit monitoring and scores and checking and saving account alerts. One has to remember that both offerings, fraud alerts and credit monitoring, are viable options as long as you are aware of what you are getting. Monitoring your credit at one bureau is not going to inform you every time your credit has been used by an identity thief, it will only inform you if the creditor went through the specific bureau you signed up with. 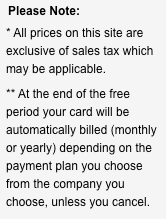 So if you choose that option ensure that you pick an offer that monitors your credit at all three bureaus. Fraud alerts can stop many identity thieves in their tracks, but not all of them. Sure your bank will call, or take other reasonable measures when they see the fraud alert but do you really think an owner of a business who has ties to an organized identity theft crime ring will call. Fraud alerts are far from full proof and should only be considered as a good step to take, or a small piece of a much more comprehensive protection plan. It is important to realize that no full proof method exists to stop identity theft and there will never be one. This is why an identity theft insurance policy is of great importance and is highly recommended by Identity Theft Labs regardless of your choice of credit protection companies. It’s important to consider the amount of coverage as well but do keep in mind that the vast majority of identity theft cases will be easily covered by a $10,000 policy, the lowest we have seen. On the other hand, $10 or $20 thousand worth of coverage is not enough for all identity theft cases and as such we value the greater offerings. The additional coverage provided by most identity theft companies adds to ones peace of mind and when lawyers and private investigators become involved in an identity restoration case its not hard to see how $20,000 can get eaten up quickly. With 100’s of millions of personal and private records being compromised in the last three years through data breaches we can’t stress enough how important it is for you to have an identity protection plan in place. How you protect yourself from identity theft is and always has been your choice but we do implore you to do something, anything before you too become another stat like the 8 to 10 million Americans who become identity theft victims each year. Let LifeLock help protect your identity today!